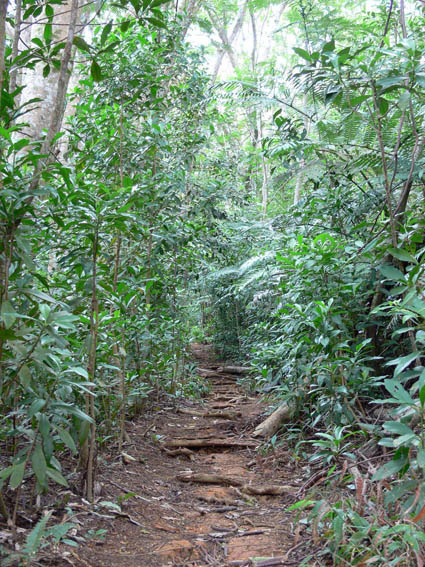 Bush walks and hikes in Rarotonga. 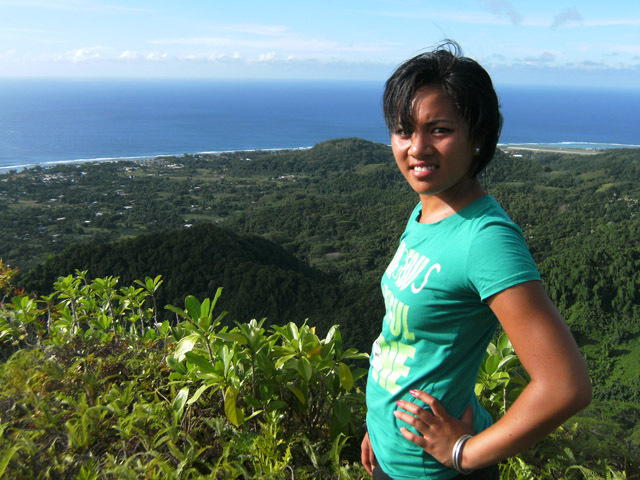 Located on the west coast of Rarotonga, the flat peak of Raemaru Mountain is 350 metres above sea level. 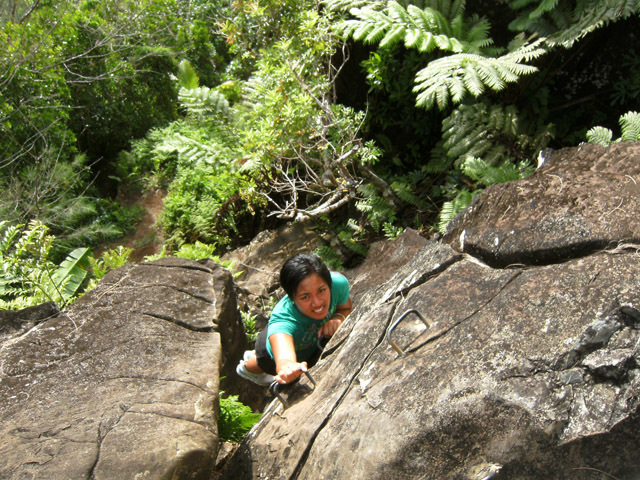 On our Raemaru Mountain Trekking you get to climb the mountain from the front following up the mountain spur climaxing with an adrenaline filled 15 metre rock face climb to the peak of the mountain. 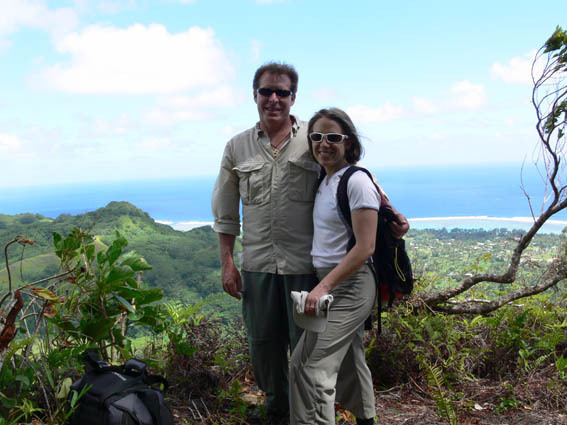 Once at the top you will see awesome sceneries of Rarotonga: the mountains, valleys and forest, expanding towards the coast, lagoon, reef and the ocean, all in one panoramic view, another great photographic opportunity, so don’t forget to take your cameras! 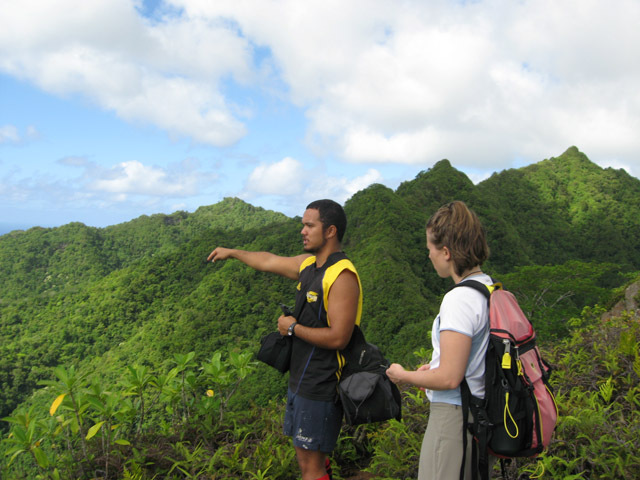 Our guides will show you the site of the old ancient village in the mountains where the people of Puaikura used to live in Rarotonga’s pre missionary days (although now overgrown with fern, bush, trees and other forest vegetation). 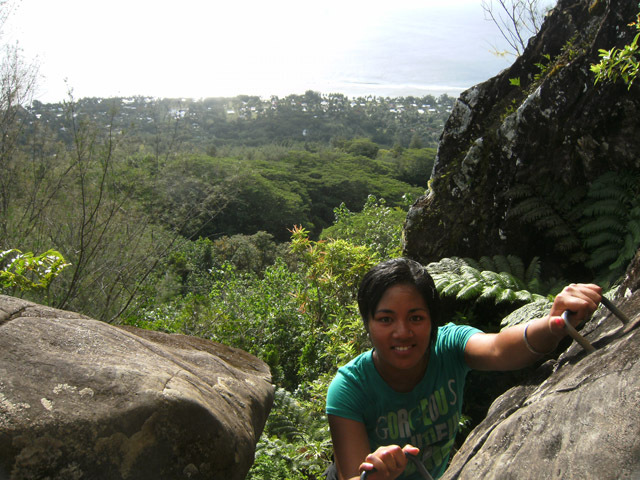 You will see and learn from our Rarotongan guides about interesting historical facts and legends of the ancient village of Puaikura, its chiefs, its fierce warriors and their tribe that once roamed and lived up in these mountains. It is recommended to wear long socks or pants, a pair of comfortable shoes suitable for hiking and to bring your own water. The tour takes about 3 to 4 hours and a minimum of two people is required for bookings. Suitable for small and medium size groups and 24 hour advance booking is essential.